Principal Cast : Charlie Chaplin, Edna Purviance, Eric Campbell, Albert Austin, Henry Bergman, Kitty Bradbury, Frank J Coleman, Tom Harrington, James T Kelley, John Rand, Tom Wilson. Synopsis: Charlie is an immigrant who endures a challenging voyage and gets into trouble as soon as he arrives in America. 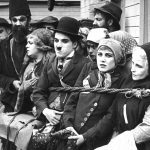 A flat-out masterpiece of film-making, Charlie Chaplin’s The Immigrant, his penultimate film for the Mutual Film Company, is testament to the power of the visual medium for both story and character. 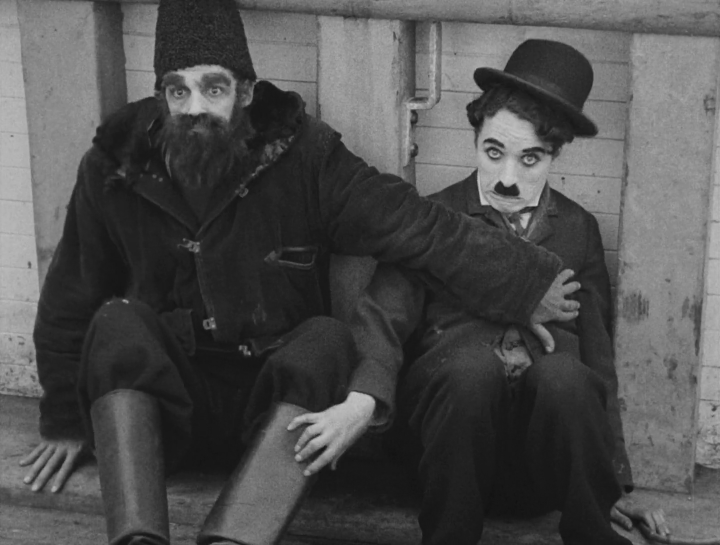 Chaplin’s iconic Tramp character, honed to perfection by the time the actor signed a 12-month contract for Mutual, epitomises not only early Hollywood history but early modern America, a birth from the dusty Old West to a roaring beacon of hope following the turn of the 20th Century. While The Immigrant doesn’t trivialise the travels of those seeking their fortune in America, it does offer a sweetly crafted, deftly performed and memorable turn for the Tramp in this romantic comedy that delivers on its premise to make the audience laugh. 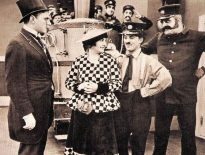 The Tramp (Chaplin) is travelling to America aboard an ocean steamer, rocking back and forth and suffering the pitfalls of seasickness, alongside his fellow passengers. Along the way he encounters a young woman (Edna Purviance), another immigrant, whose limited means are stolen by a burly thief aboard the ship (Tom Wilson), only to be returned by the Tramp after a case of mistaken identity. Landing on American soil, the penniless Tramp goes for a meal at a nearby restaurant, where he meets up again with the woman, whilst avoiding being booted out by burly head waiter (Eric Campbell) for failing to pay for his meal of beans. The Immigrant is a perfect mixture of pathos and energetic comedy. It’s also one of the true highlights from regular Chaplin ensemble player Eric Campbell, playing the burly waiter who can’t wait to kick the Tramp onto the street for failing to pay his tab. Chaplin’s sense of timing is absolutely on-point here, as he wavers between careful set-ups, practical comedic shtick and a sublime element of honest-to-goodness charm in essaying the Tramp’s arrival in the USA. The film is a carefully orchestrated exercise in technical hilarity, with much of the on-board boat footage shot to feel like the vessel is rocking madly on the ocean. A sequence set in the ship’s dining cabin is wonderfully framed and executed with a technical skill that would be echoed in his later film The Gold Rush; no doubt filmed using some kind of gimble, the moving plates and tables and passengers as the boat rocks provide much tension as to what or who might succumb to the motion. Those who’ve seen the Richard Attenborough film Chaplin, starring Robert Downey Jr, will recognise this film’s famous bean-eating restaurant scene as re-enacted in the 1992 film. Purviance is hauntingly beautiful opposite Chaplin’s rag-tag Tramp, a fascinating focus for his attentions and desires (he literally carries her kicking and flailing into the marriage registry office in the film’s final scene…. okay bro, there’s no need for that!) and it’s little wonder she appeared in the vast majority of his short and feature films. Purviance glows in Chaplin’s cinematography. 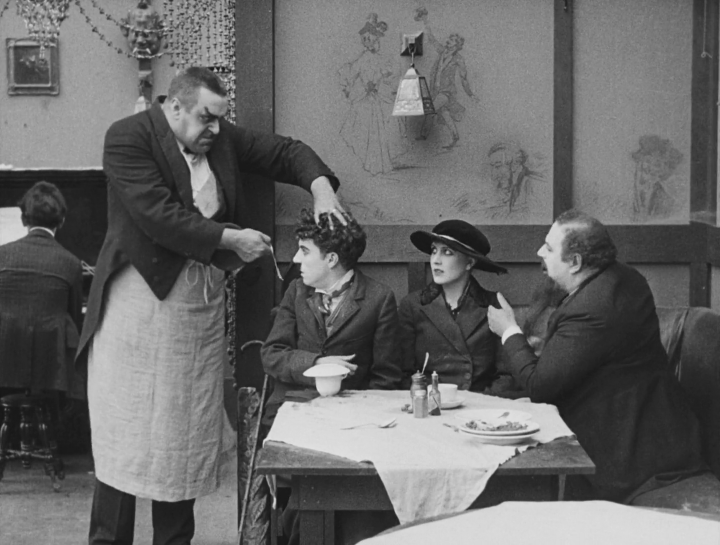 Complementing Chaplin’s knack for comedy is Eric Campbell, as the burly waiter. Campbell is sublime in his role as Chaplin’s foil, going toe-to-toe with the smaller man as they generate laughs aplenty. 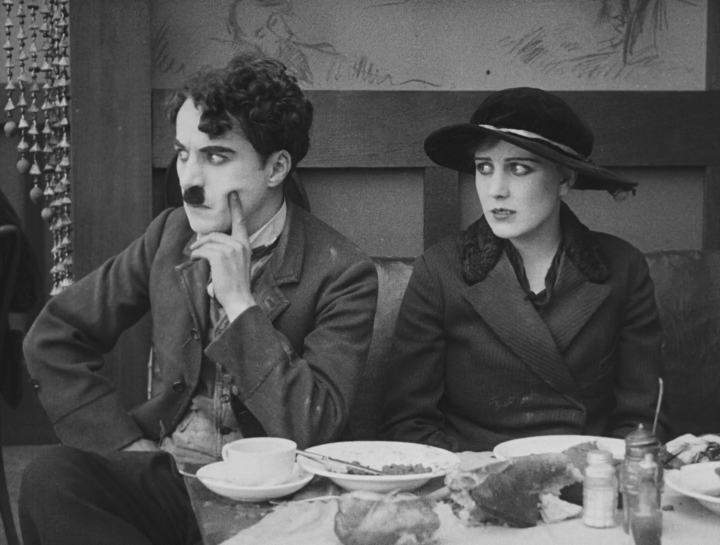 The restaurant sequence runs for the film’s final half, giving Campbell enough time to hone his craft as a worthy opponent to Chaplin’s gallant mini-hero – he’s perhaps the best part of this film overall. 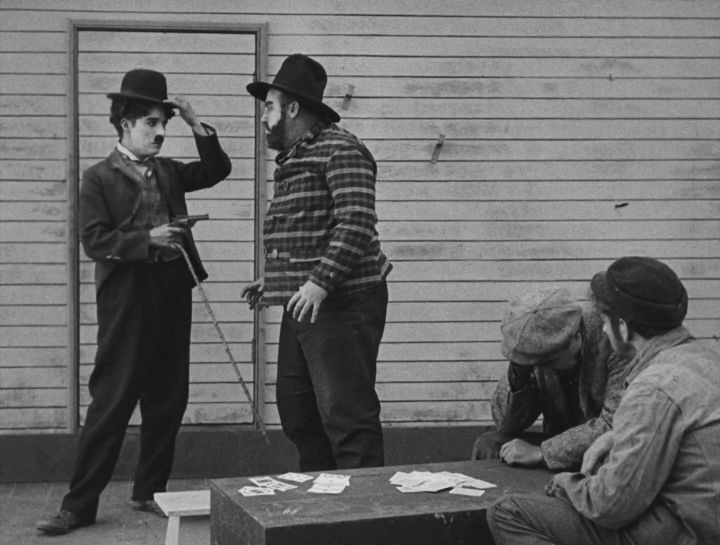 Populating the film’s ancillary characters are resident Chaplin players Albert Austin, Henry Bergman, and John Rand (among others), while Tom Wilson’s role as a ship-board gambling thief, and his encounter with Chaplin, is well played indeed. There’s something about The Immigrant that just works. It’s a rare film where the characters, story, tone and overall idea just click together and magic happens; The Immigrant is one such film. Chaplin’s direction is a delight, the technical dexterity he shows in moving his camera around and obtaining clever shots is fantastic, and the ensemble all work perfectly with the brilliant comedic timing they do so well. In every regard, The Immigrant is a masterpiece of short form film-making and a true delight of the silent era. Hugely, highly recommended.